Razorback (1984) is a humble Aussie B-movie that had the audacity and good marketing sense to deem itself ‘Jaws on land’. Does it live up to that lofty goal? Hell no. Is it daft fun when accompanied by a bunch of beers? Hell yes. For those who don’t know, razorbacks are actually a phenomenon and major problem in rural Australia. Feral pigs run rampant, growing to massive size, with very little in the way of natural predators. Pig hunting is a favoured past time amongst a certain type of person in Australia who often don’t actually look and sound all that different to the hideously narrow minded, racist hunters in this film. Razorback captures some of the barbarism inherent in bloodlust and the almost sexual thrill that some hunters get from their slaughter. The film is a little slapdash, with everything just thrown on the canvas to see what works. There is an armoured car, which I believe was a requirement of any Aussie genre film of this vintage. There are a few jaunts into absurdist territory which really does not work. There are a couple of American interlopers, one of them a reporter, and these outsiders function as a way to highlight just how alien a place the Australian outback really is. And the deaths are well shot, with the characters who go and the order that occurs is at least a touch surprising. There is something of the delightful silliness and simplicity of Roger Corman at his best in Razorback. It’s bad, but endearingly so. 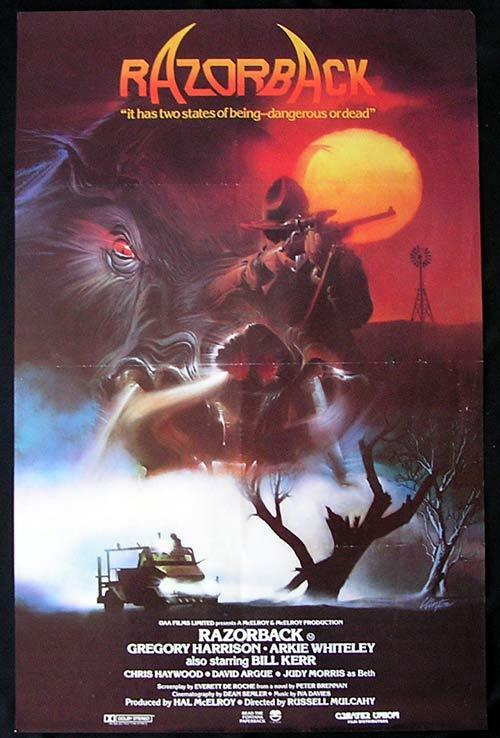 Even when crafting a pretty accurate, if stylised and (only slightly) exaggerated portrait of life in remote Australia, the film never allows that to get in the way of the fact that there is an enormous, murderous pig on the rampage. Nor should it. The setting is a real point of difference, with the expanses of sun drenched outback a stark change-up to the horror setting norm of dank, dark, enclosed spaces and the filmmakers do toy with that. Though the film is nothing like Jaws (1975) on basically every level, it does nail one bit. 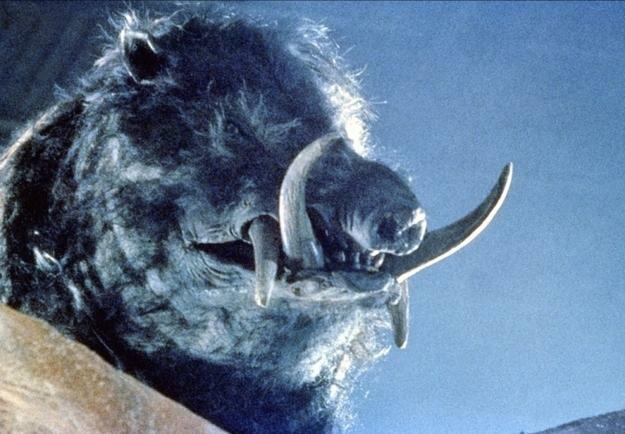 The pig used is so monumentally terrible and fake looking that the film does everything it can to hide it away. Which leads to the good – funky silhouettes and PPOV (pig point of view) shots, and the bad – at times the film could use a little more giant murderous pig. Thematically, there is a little to discuss, even thought the film functions mainly as a blast of stupid fun. Feral pigs are often used as a metaphor for environmental degradation in Australia. They are not native and do untold damage to the landscape, just as mining, agriculture and numerous other feral species do. As for the script, it’s awesome. And by awesome I mean terrible. Razorbacks supposedly not having a nervous system plays a major role in the plot and the quote “took his grandson, his daughter and his pride… that boar destroyed his life” features shows its qualities. Related beermovie.net articles for you to check out: A Fortnight of Terror: Long Weekend and Jaws 2.